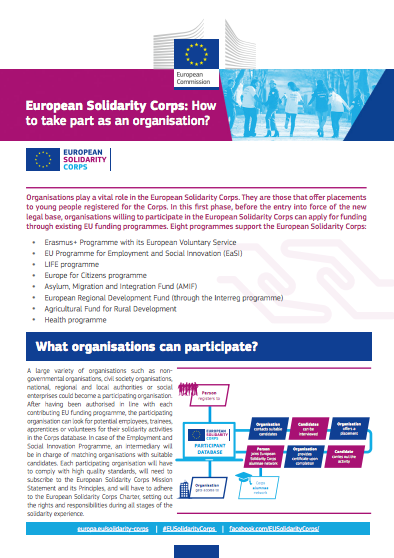 The European Solidarity Corps is the new European Union initiative which creates opportunities for young people to volunteer or work in projects in their own country or abroad that benefit communities and people around Europe. 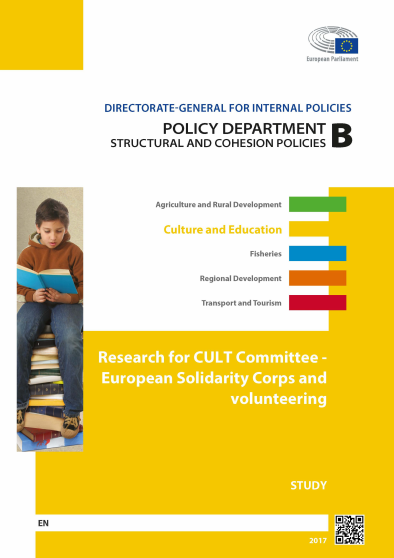 Eurodesk welcomes this initiative as it has the potential to provide new mobility opportunities to young people and to reinforce solidarity, a European core value. 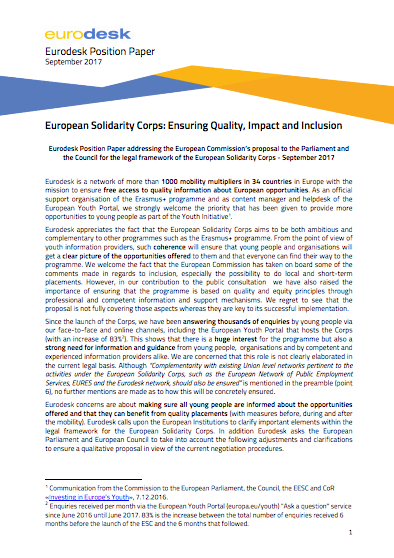 Since the launch of the Corps, Eurodesk has been answering thousands of enquiries by young people via our face-to-face and online channels, including the European Youth Portal that hosts the Corps. This shows that there is a huge interest for the programme but also a strong need for information and guidance from young people, organisations and by competent and experienced information providers alike. In the current negotiation process Eurodesk is calling EU institutions to make sure all young people are informed about the opportunities offered and that they can benefit from quality placements with measures before, during and after the mobility.